So let's bring those precious old photos out of boxes and onto our pages. 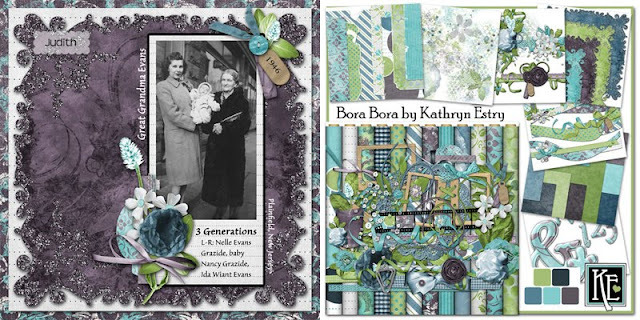 Here are some beautiful heritage pages by Yvonne and Judith. Thank you, Ladies! 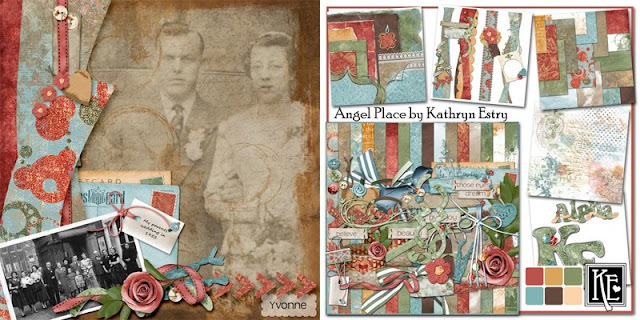 I think you'll love these pages by Yvonne. 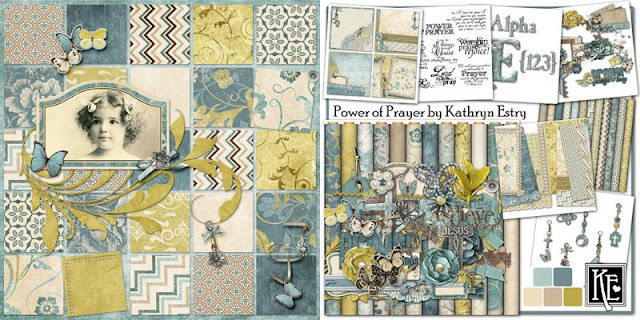 She used my Angel Place and Power of Prayer Collections. 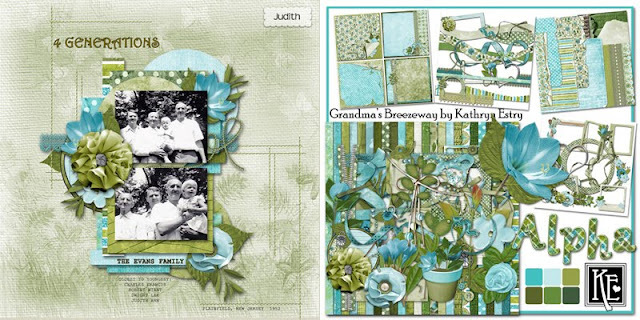 These lovely layout by Judith were created with Bora Bora and Grandma's Breezeway. Enjoy!